Pro Hockey Life is proud to be the world's largest hockey centric retailer. 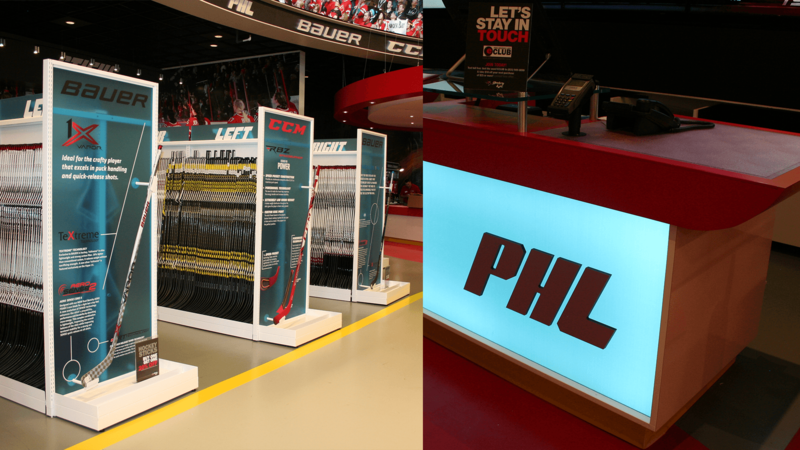 They provide Canadians with a one-of-a-kind hockey megastore concept that showcases everything hockey, including all the latest makes & models of sticks, skates, protective & goalie gear, as well as fanwear & memorabilia- all with the added assurance of competitively priced merchandise backed by the PHL Price Guarantee. Their megastores are the ultimate destination for hockey players and fans alike. Pro Hockey Life is a long-time customer of BGI. When they had a new design, and needed help value engineering and implementing it, we jumped to the front of mind. Our relationship and previous successes combined with being a single source solution for interior environment design made BGI the first call. Our ability to put together price tests and prototypes secured us this project. Our ongoing engineering development and continued value engineering made this project a success. We supported all aspects of the project including; architectural and design drawings, manufacturing, and finally the installation. 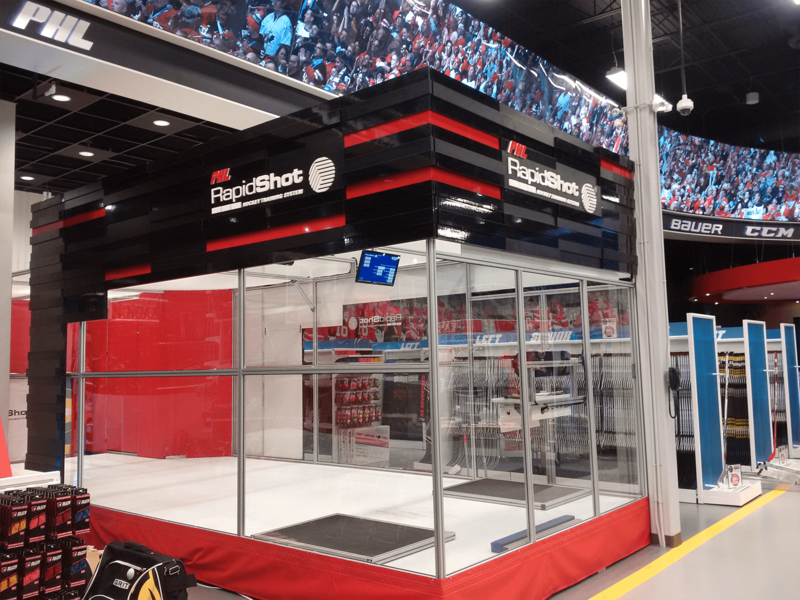 BGI demonstrated its ability to build to budget and delivered a fun and interactive shopping experience for Pro Hockey Life customers. sq. ft. of all hockey!